Searching for used cars in Albany, NY can prove to be a challenging endeavor, especially if you are trying to shop privately. Which is why finding a dealership like DePaula Used, staffed by experts when it comes to buying and selling quality used cars, should be your first step in the car buying process. After all, it’s a great time to buy a used car. Thanks to the spike in leases, quality used cars have hit dealerships like a ton of bricks in 2016. The timeless advantages of used cars still apply to those sold in 2016, and certified pre-owned vehicles are proving to be increasingly popular — and for good reason. The used car market is, after all, now bigger than the new vehicle market. There’s gotta be a good reason for that, right? 2016 is a great time to buy a used car. As of August 2016, the used car market is almost 2.5 times bigger than the new car market, and analysts say this market isn’t slowing down anytime soon. But, why have used cars become more and more popular over the years? After all, it used to be the reverse scenario. Consumers did their best to avoid used cars because no one trusted that sleazy used car dealership. But, the days of worrying about unwittingly purchasing lemons and getting ripped-off on a used car deal are gone. Trustworthy dealerships with a history of excellence — like DePaula — have evolved and complied with all the changes made to the used car industry throughout the years. For consumer benefit, there have been multiple laws set in place to protect them from a shady used car transaction, and it’s much harder than ever before for dealerships to find loopholes. On top of that, the reason used cars are so popular in 2016 is because of the amount of leases that increased in the past three or four years. Leased vehicles are a direct contributor to the used car market, and the fact there was a spike in three to four year leasing during 2012 and 2013 means those vehicles are now being turned back into the dealership as used cars. These are vehicles that are made with modern materials and engineering ideas, which feature relatively low miles thanks to the lease restrictions. Tack on the fact that they will cost much less (thanks to depreciation) when compared to a current model from the same manufacturer, and that’s a recipe for success that many consumers obviously wish to take advantage of. While the used car sales are on the rise, many cautious consumers still flock to new cars without even glancing at a used car lot. They are still under the impression that used vehicles are lemons or worn-down rust-boxes that are going to give out after the first spin to the grocery store. But, those days are over and that means used vehicles are an advantageous buy for many reasons. While a lot of people are buying certified pre-owned vehicles, it’s still okay to buy a non-certified one. 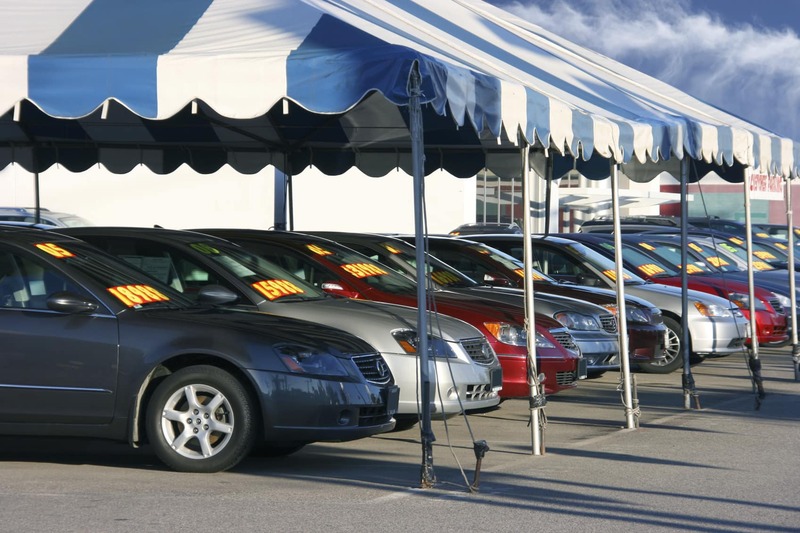 A used car can still be in good shape, even if it’s not being sold as certified pre-owned. While certified pre-owned vehicles have their own advantages we’ll talk about a little later, it’s important to realize that non-certified cars are potentially just as advantageous of a buy. Used cars have already experienced a lot — if not all — of their depreciation. That means the price of the vehicle is going to be substantially lower than the price of the current model. Combine that with a well-maintained vehicle, and you’ve scored yourself a good deal. While it might not have the latest and greatest entertainment technology, it’s still a great deal if the car runs and is in great shape. Another thing a lot of people get hung up on are miles. While high mileage directly relates to the amount of wear and tear a vehicle experiences, it’s not an end all-be all scenario. If the frame is rust-free and there have been no major problems with any of the important parts (engine, transmission, etc.) then mileage doesn’t matter. Water pumps, belts, alternators, batteries — those all eventually need to be replaced. But if you find a car that’s clean underneath and has had the oil changed and transmission flushed when it was supposed to, then it’s a safe buy. It all boils down to knowing the history of the car, and understanding what to look for when buying a used vehicle. If you don’t mind spending a little extra money on a surefire quality and reliable used car, then a certified pre-owned vehicle is the way to go. The reason why certified pre-owned vehicles are considered to be in like-new condition and so reliable is because of the rigorous standards they have to meet before they are given the seal of approval. While it varies from automaker to automaker, these vehicles can only be under a certain number of years old, under a certain amount of mileage, and pass a rigorous multipoint inspection and reconditioning process. For example, in order for a vehicle to be certified, it must be under five-years-old and feature less than 75,000 miles for Chevy, with Toyota being comfortable offering a bit more wiggle room at seven-years-old/70,000 miles. Either way, the common trend is these vehicles are all less than eight years old, and have less than 80,000 miles. Combine that with the extensive inspection and reconditioning process (which also changes between automakers) and you have a vehicle that’s been lightly used, at most. While these CPO vehicles are typically a little more expensive than just a regular used vehicle, they are still much cheaper than whatever new model is sitting on the lot. On top of that, you’re also getting a vehicle that has all sorts of warranties and assurances on it — which equates to a lot of built-in value. GM, for example, has $2,800 worth of built-in value that consists of a 12-month/12,000-mile bumper-to-bumper warranty, and a 5-year/100,000-mile limited warranty from the date the car was sold. In the unlikely event that something were to happen to your certified pre-owned vehicle, these two warranties have got you covered. Plus, a lot of companies offer things like 24/7 roadside assistance and an exclusive CPO-scheduled maintenance program. Perhaps the biggest thing these quality and reliable certified pre-owned vehicles provide the buyer with is peace of mind. After all, a lot of these vehicles are former leases, so they are lightly used at best. Here at DePaula Used cars, we have a stock of quality used and certified pre-owned cars that are ready and waiting to be purchased. Our technicians have mechanically inspected each vehicle and ensured that they are in top-quality condition. Furthermore, the certified pre-owned vehicles have all met the standards set by the automaker, which means guaranteed peace of mind when purchasing one of those. Our sales staff has the knowledge and capability to get you into the used car that’s right for you, and we guarantee that you’ll get the best deal with the best price in the Albany, NY area. Why? Because at DePaula Used, used cars are our specialty.